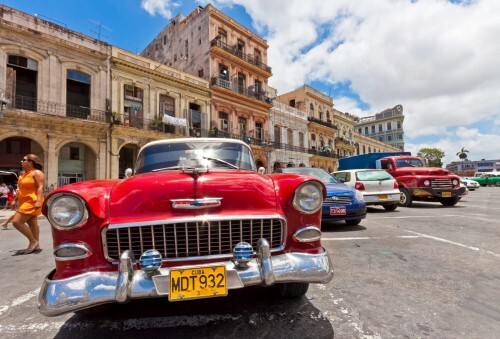 UPDATE 13.4.2019: Wow, super cheap flights to Cuba are back! Return flights from Frankfurt to Havana are available for only €190. Fixed dates 13.5.-25.5. or 20.5.-25.5., direct flight, 20 kg check-in luggage included. Hurry up and BOOK NOW, check screenshot. Wow, that’s a really insane price! It has been pretty much impossible to find tickets to Cuba under €350 in the past, but this changes today. You can now book return tickets from Germany to Cuba for only €179! You can fly from Cologne/Bonn to Varadero and return from Havana to Hamburg, Berlin or Frankfurt! To get this super low price, you need to combine two tickets from different airlines. For the flight to Cuba book one-way ticket from Cologne to Varadero with Eurowings for €150 (8kg cabin luggage included, check in luggage available for extra fee). 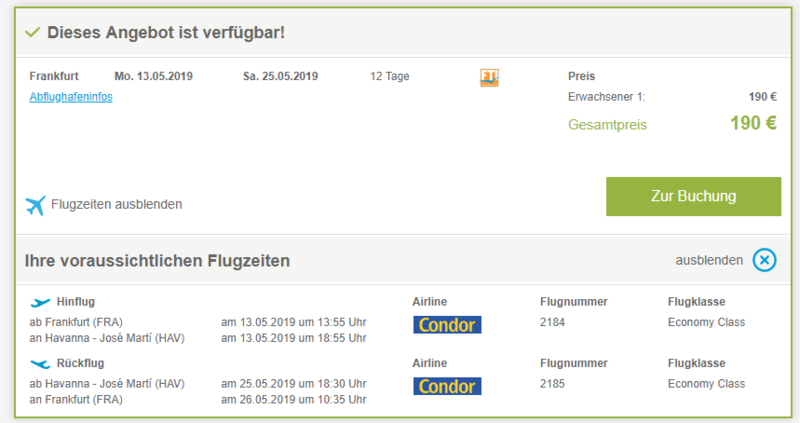 For the return flight book one-way ticket from Havana to Berlin/Hamburg/Frankfurt with MeridianAir for only €29 (cabin luggage + 20 kg check-in luggage is included!). To be honest we never heard about MeridianAir and the website looks little bit unprofessional but it seems to be a new charter company that focused on cargo flights in the past and now started offering also cheap flights to Cuba. You really don’t have anything to lose for the price of €29 so give it a try! To book the one-way flight with Meridianair you need to choose the return flight and then simply click only on the return date and the booking system will charge you only for the return flight. Travel dates are in June 2016 but other dates are also available for €300-€400! Havana – Hamburg on 24.6. Havana – Berlin on 26.6. Havana – Frankfurt on 27.6. Hurry up, this deal will be gone very soon! We recommend to book your accommodation through AirBnb for the best price. – we give you €34 free credit as well for the start! « HIT! Super cheap flights to Cayman islands for only €268!